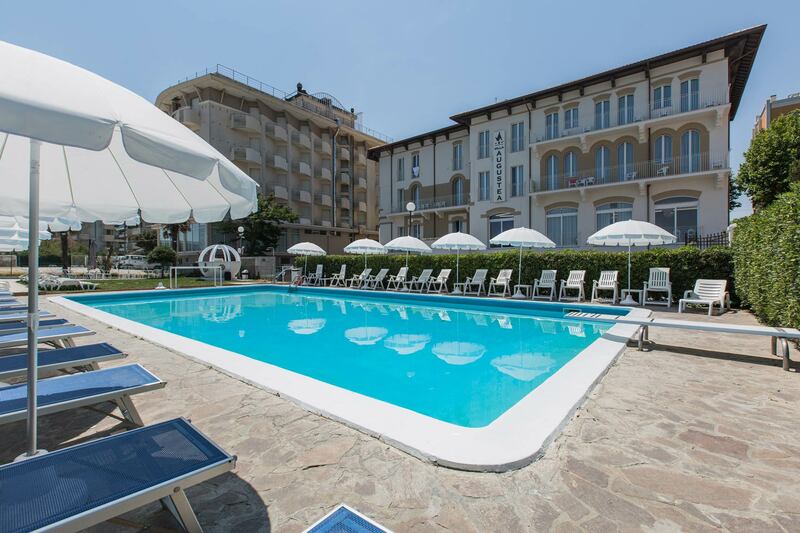 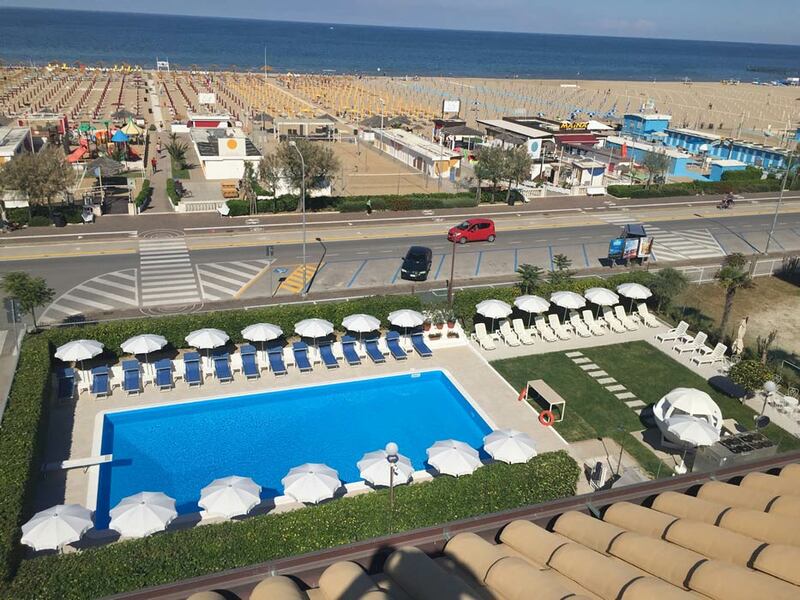 At Hotel Villa Augustea, the swimming pool directly overlooks the seafront of Rimini and it is one of the first ever built in the city. 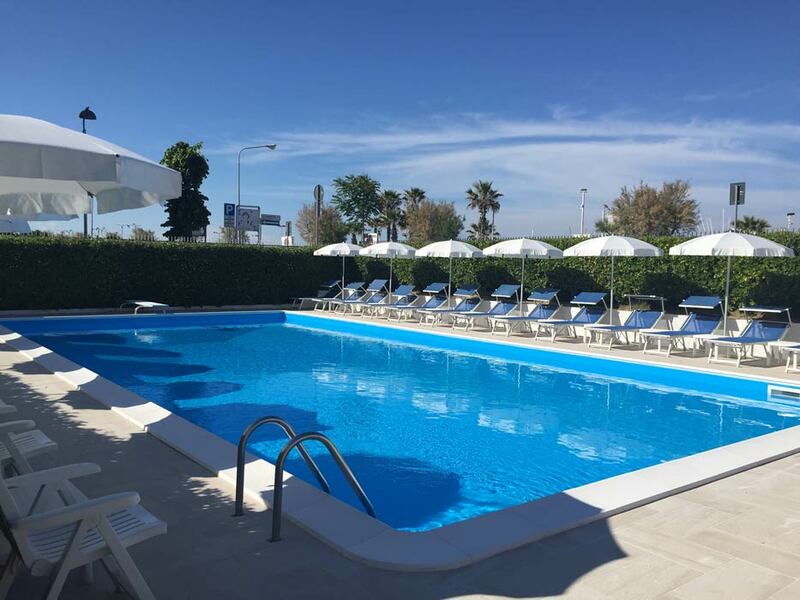 It is open from morning until late evening, its large dimensions allow you to swim comfortably or jump in from the diving board; you can also just relax on one of the sun loungers with a refreshing drink in hand while accessing the free Wi-Fi. 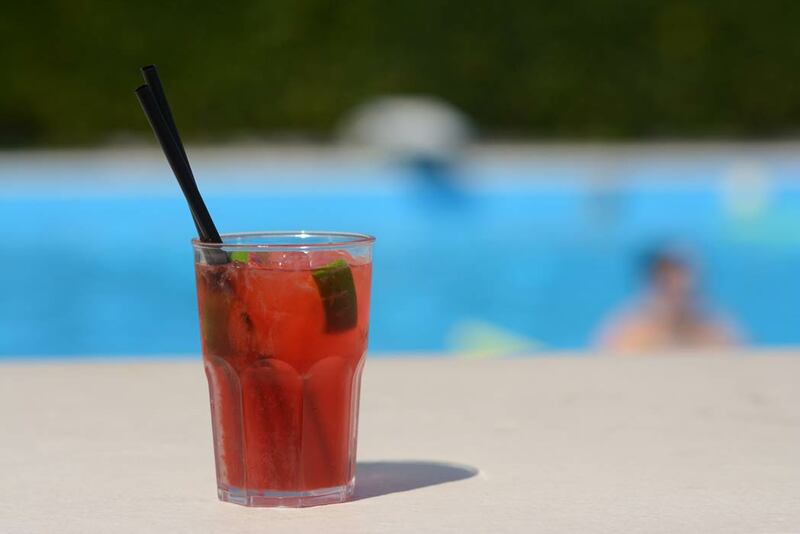 New this year is the wooden pavilion where every evening an aperitif with free buffet is served (drinks excluded).